Archangel Zadkiel and Amethyst, wonderful energies that come forward with messages of wisdom, power, strength and influence. They are the ones to call on if you need a place to find truth, or to find a teacher to lead you there. Being large entities, they have many projections in the creation of the Universe, being helpers under the master of the UV Ray, Zadkiel and his sister rule violet. Being created in such, they have an all knowing wisdom from one of the highest ranking energies in the Universe. Anyone working with this energy will be fast to know things. I was an indigo child when I started out. Man are we weird LOL. but it is true, we have a great wealth of wisdom, and it comes naturally. Now I am a crystal (I am only saying this to give examples), and this relates to the Ultra Violet Ray of light, because we are unseen in the aura, and can absorb the aura energies of others. However, the aura is not the same as consciousness. It is a form but not the soul itself. The aura is an emission of thoughts and feelings in the energy field of your spiritual bodies. The consciousness is the soul driving the vehicle. Therefore, the aura, is composed of the thoughts and feelings from the soul itself to the outside to experience the reality, and also containing the energies of everyone in the reality around you to share the experience. This is why I always recommend a Fractal Cage of protection (Copyright and trademark protected, thank you). The aura and the consciousness will have different colors. The aura will contain the waves of energy from those emotions and thoughts, while the consciousness will have its own color based on the ray you were made, but the color ray may change as you go through your journey. So, when I said I was an indigo child, I was speaking on how I had both my consciousness, and my outer layer of the aura to match, indigo. Now they are crystal or UV. Sometimes you may another colors, as I will absorb the energies around me. You may too, if you have the same. I have had many make such claims and when I viewed their consciousness and ketheric templates it was not true. I am astounded at the lies people tell themselves and others to go along with the trends. But back to Zadkiel, he rules the Violet ray which is the epitome of the Violet Flame. He was he, who spoke to Angel Mitzavriel,Moses, in the burning bush. That was symbolic by the way. It was representing something. Zadkiel’s, name means, “benevolence, mercy, Forgiveness” .Now, back to my usual truthful speaking on awakening quickly. I know when someone is awakened or not. Many give-a-ways. One of them is that I can still feel jealousy, envy, competition, insecurity, upset over the past, resentment, fear, attachment, and going along with the world, in people when it is there, even in the slightest amount. As a blueprinter, I know.As a messenger of the Creator, it can not be hidden from me either. I am not boasting, simply being honest. They also are lacking alot of truths, no matter how much they read, or educate, they still lack memory and the real truth, and I do not give all in my articles. I want others to learn, but I am also no fool. Knowing how people are, I simply can’t give the truth over to just anyone. But, the reason I say this is because, a bush represents love that does not consume the body, and is without pain through being lost in emotions of ‘love’ or loss. Moving beyond the influence of the world. The bush is an initiation into what lies beyond the awareness of the material world, the senses, a sign of the beginning of spiritual awakening.. It is a baptism into the realization that I Am That I Am, but to truly know what that means..It can represent the beginning of spiritual awakening. Spiritual purification, and preparation with the promise of a great spiritual awakening to come. So in this, awakening is only a true love. No pain, no emotions, only love, in wisdom to the extreme. No more seeing people as rude, no more looking at the world as terrible, but seeing things for what they truly are beyond the programming here. No more self, no more negativity, and no more hurt. Only joy all of the time, no matter what, because awakening comes from the Creator, and the Creator does not know any of those things. So when we go back to Zadkiel being in the burning bush that Moses saw,my Creator told me this, it translates like this. A Bush, Moses, and Zadkiel equal, “Spiritual Awakening” “Drew Out”, “Mercy and Forgiveness, Benevolence”. Yes… Moses means “to draw out”. Now we have someone who became awake, and became about Mercy and benevolence. All of what Zadkiel is about. This is why he is known as the Angel of Awakening and Mercy. Zadkiel is a principality, and a Seraphim. He has 6 wings, and has energy spread all over the Universe. One of the major influences to Earth, is Zadkiel’s purple Pleione, in Pleiades. A lot of the angelic energies created and rule over Pleiades. Michael, Gabriel, and Zadkiel. Their light is transmuted to this wonderful star cluster, as it sends down invitations of beauty and splendor, the place where most souls here need to be in the tree of life. It transmits consciousness to lead souls towards forgetting that which they know already, voiding the programming, and become retaught based on the wisdom of the Archangels who have gathered the energy there. 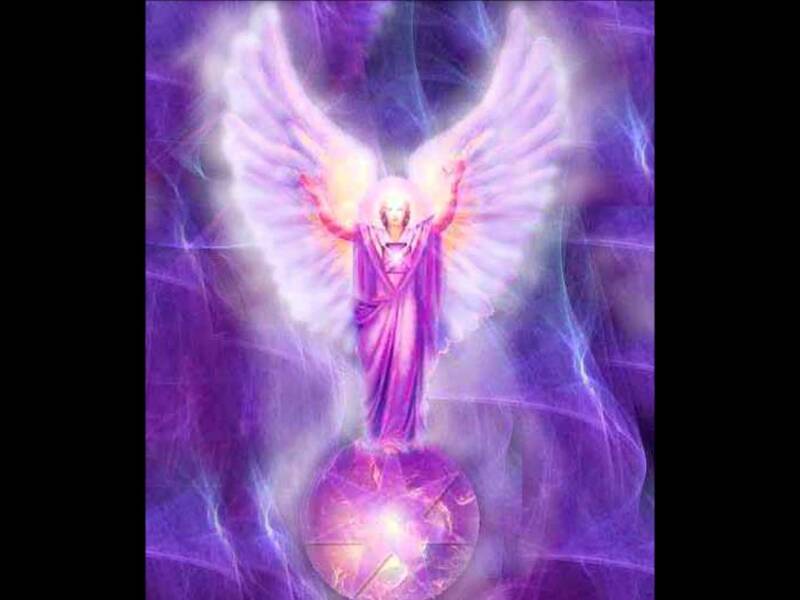 Michael for letting og of the old, Gabriel for developing intuition and ascending, and Zadkiel for the awakening. In that order. Zadkiel has been known as Baldr according to the Norse, and Amethyst was known for his female counterpart as Clementia in Roman Mythology, Guanyinin in Asia, Kwannon in Buddhism, Eleos in Greek Mythology Kuan Eim in Hinduism. Since Zadkiel is both, Zadkiel and Amethyst, because angels are androgynous, some lean more to female, or male though, he is often represented as a goddess, because here in this world since it was programmed to be more masculine in control and ego, the awakening for this world would mean reinstating the feminine part of one’s self to meet the masculine. To meet balance. This is also one of the true keys to ascension and awakening. Archangel Zadkiel is my guardian, as I need him to show me how to continue onward, loving the enemies that I have here. I am so giving and loving, and sending in truth, but some, few, have it out for me. Jealous y and competition plagues them in their quest to be the best. I have to send in forgiveness and benevolence, otherwise what type of angel would i be? In this, someone tried to curse me with a huge bone left in my yard in a Santeria spell. Some give me a hard time in my teachings. And some smile in front of me, but behind my back plot. Mercy, and forgiveness is always needed and mandatory, and I shall give it as I always have but now even more with Zadkiel by my side, and so can you. Zadkiel rules a legion unable to be accounted for, it is too large, he works with the stones, Amethyst, Purple Flourite, and Sugilite. His number is 14. 14 is all about the violet or UV flame, because it shows its traits in its vibration. This is showing the need for everlasting movement, and wisdom from a great variety of experiences. Learning through balance of good and negative experiences that can make life like chaos, but progressive change and the joy of renewal and growth are found, in the awakening at the end of this intense path of learning. The indigo, violet, UV consciousness, can have a strong negative influence on people, unless they are awake and aware of the conditions which come into their lives.Unbalanced or unawakened, this vibration can lead to the wrong kind of learning, that some may never get or understand even in the end. Balanced though, learning the faster way because it is the harder way, can bring on awakening results. The reason they label us as under this vibration or ray of consciousness, as having ADD or ADHD, slight autism, is because we can only think and work, with one thing at a time and if we were given too many things to think of at any one time, we would shut down. That is because we are always working with the Zadkiel within, which leads us to being in the land of the Creator, thoughts of God, thoughts of spirit, and how to understand the world around us, that we can not learn like others do. 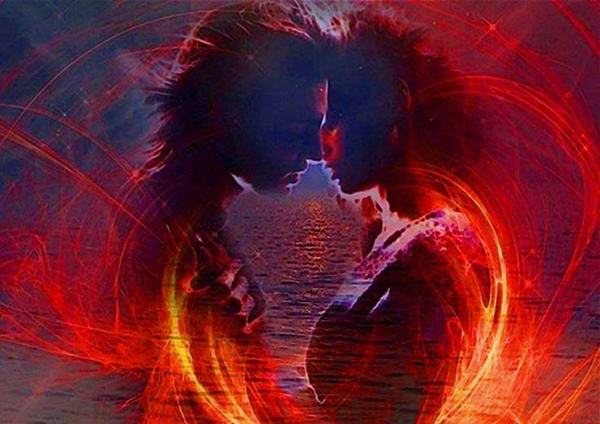 We have to experience it, through the ups and downs of life, we learn first hand.We, under Zadkiel, have a great capacity for love, but it takes a very special person to make us settle down.As children and into adulthood, we are into everything. Sometimes fearless we question everything. The truthseekers in us, that lead us to understand people and their choices to be full of mercy and sympathy toward them, to show benevolence in helping even the worst of people, and trying to fix. Seeing the good, even a tiny spark of it in someone as the creator does. 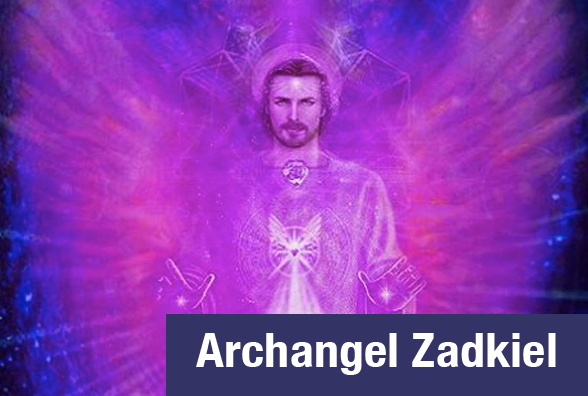 Zadkiel appears in an unseen invisible light, but when he does allow his image to be presented, he appears as either male or female, Zadkiel or Amethyst. As Zadkiel, he is handsome, and tall, with Violet eyes, and dark hair. As Amethyst, a tall pale skinned female, with violet eyes, and blondish/lavender hair. In orb, you will see huge orbs of violet, the size of a soft ball, (this is not fully Zadkiel but a portion to visit), that is brighter than high beams on a car, and in the ray of violet. Having a long tail like a comet, and 6 energy extensions coming out the sides. The Master of the UV ray, works closely with Zadkiel in ensuring success in awakening to the highest level. We all have a soulmate out there somewhere in this world. But what kind of soulmate do you have?